Love music and disco lights? 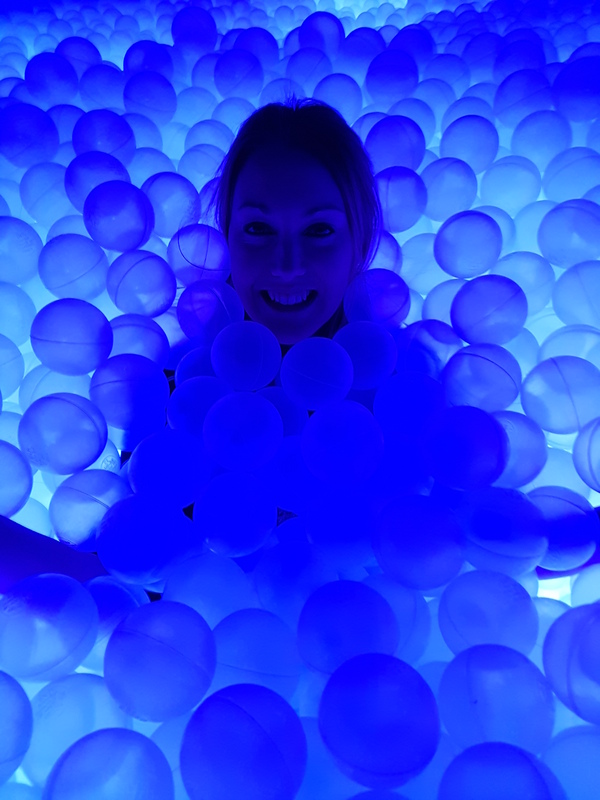 Experience an adult ball pit at BallieBallerson which is full of 250k clear balls with 10k coloured lights. The glowing balls are clear in colour, and set upon thousands of super strong LEDs, sending waves of colour up through the dance floor. The cocktails are themed around the planets; Neptune is based on charcoal and liquid nitrogen; the helium rich Saturn is garnished with a floating balloon; and Uranus, which is undrinkable until you’ve eaten the Miracle Berry pill provided. To find out more about the Ballie Ballerson latest pop up ball rooms click here. Thanks to BallieBallerson who let me and one other from the community of Love Pop Ups London come down to play in amongst your balls. Read our blogs/reviews from the comments below.